The ultimate Source of all your problems goes back to Karl Marx, however, more recently, was devised as a course of action in the Cloward-Piven Plan in 1966. I don’t agree at all with MMT, but I at least see what they’re saying. The idea that the government’s debt is the private sector’s assets is based on the identity of the national accounts, where the equation can be rearranged to yield (G-T) = (S-I) + (X-M). The question is: why should we care? The fact that all private assets are also private liabilities is just a simple aspect of how accounting works. Introducing banks and an increase in private debt into the equation does not change this basic tautology, since the bank’s and borrower’s assets still net to zero. The federal government isn’t much different. It still has to have credibility in its assets to convince investors to hold its liabilities, which I don’t believe it’s at risk of losing anytime soon (barring a serious disaster) – but even Stephanie believes inflation is a problem! She will support raising taxes to deal with the problem, while monetarists and Keynesians will support using a combination of the Fed and deficit reduction to contract. MMT scholars pay lip service to the inflation threat, but always tend to argue that we have room to expand (even when the economy is at full employment!). The fact that unemployment is 4% and industrial capacity at 80% doesn’t mean we need to run a deficit. The “unused capacity” in the economy is constantly changing as entrepreneurs and business owners start up and fail, the market seamlessly transferring capital to new ideas and creating new jobs. If the market is running slower than usual, it could be a sign business confidence has been worn down by policy uncertainty and years of overreach. The “video game generation” thing from Minarik is rather silly considering it’s video gamers who are most familiar with the concept of an unchecked increase in money supply. Just ask anyone who plays online games about price inflation on auction house items. Gaming communities are so in-tune with this that companies like Valve and CCP have PhD economists on-staff to avoid the issue of runaway inflation in virtual economies and they’re very well in-tune with the fact that the primary driver of inflation is money expansion. Minarik and other economists probably should play more games to get an idea of what happens when the money supply is in a perpetual state of increase. Traditional thinking is that supply of money should match the supply of products. If you increase the supply of products (through investment or efficiencies) and fix the supply of money, prices will fall. Or, you can increase the supply of money to match the supply of goods and prices will stay stable. MMT believes that if you increase the supply of money, somehow the supply of goods will rise. This might occur for a short time, until suppliers realize that demand was artificially induced, clearing the shelves. As costs rise, prices rise, and to create further demand you must create more money and inflation is off to the races. 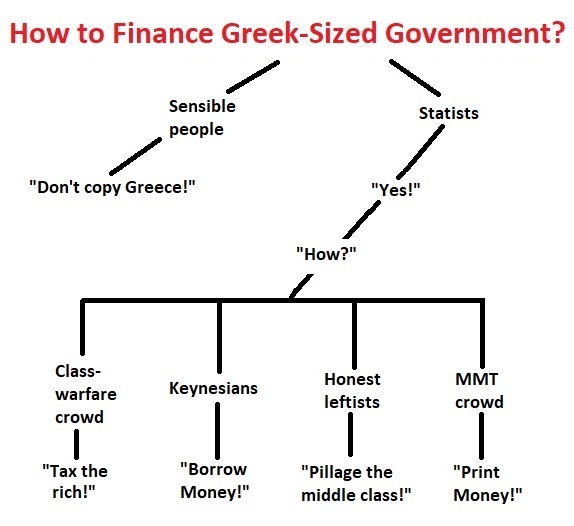 MMT is something for nothing. Life doesn’t work that way. There is always a price to pay. Reblogged this on Worldwide Blog.